James Duffin was born at Crompton, Lancashire, England, on 16 July 1835, son of James Duffin and Margaret, née Gledhill. In 1855 he married Elizabeth Sullivan at Scots Presbyterian Church, Pitt Street, Sydney. They had six sons and one daughter. He died in Sydney on 17 February 1878. An immigrant named Mr Duffin arrived in Sydney on the London on 1 August 1854. By 1859, James Duffin, Commission agent, was established at 85 Sussex Street with his private residence at 379 Pitt Street. In 1861, he had moved his business as commercial and produce agent to 377-79 Kent Street. There was also a James Duffin who ran the Flower Pot Inn at 181 York Street in 1867. 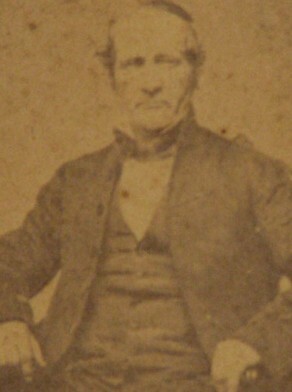 James Duffin was elected Alderman for Brisbane Ward, 1 December 1860 to 30 November 1862.